Internationally published artist Fiona Peart is well known for working in water-soluble media, her style has developed over thirty years as a professional artist, exhibiting and selling work regularly. She studied full time drawing and watercolour at the Flemish Academy of Fine Art in Leuven Belgium, successfully graduating and being awarded the 'best achievement' prize in 1990. This led to her exhibiting in various Galleries including The Mall Galleries in London. 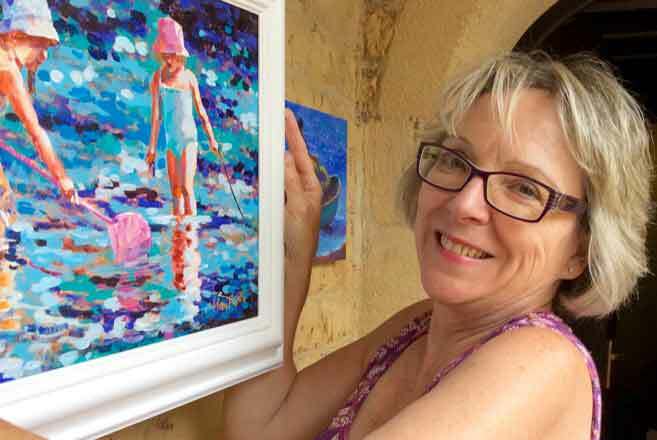 She has written seven practical art books and is a regular contributor to the Leisure Painter magazine.